In today’s Forex trading market, you will notice that tight ranges and low volatility in cash is experiencing an overly unsteady inter-currency correspondence. Nation-particular themes are being established as risk-on and risk-off trade recedes and it can be seen that foreign exchange is emerging as an unrelated asset category. If you look at the first couple of months of the previous year, you will notice that there was a considerable increase in currency volatility which resulted in a significant increment in trade activity in the world’s biggest financial market. Go two years back and in 2012, which is a year that no investor would like to remember the market was riddled with low volatility which kept trading volumes considerable low resulting in a somewhat uninteresting trade. But 2013 saw better market activity, as investors traded like anything. That spike in volatility which positively affected the trade activity, in the Forex market today as considerably dropped or in other words receded. The market, a couple of years ago, dominated trade with the element of risk-on and risk-off (RORO) trade, which is nowhere to be seen now. And that is a problem. The link between currencies spiked to extreme levels as Forex trading and investing unquestionably followed the riches of the globe’s equity markets. The RORO trading resulted in investors putting money in currencies which were perceived as risky, for example the Australian dollar. But we did see a positive reaction when the US dollar increased. However, today you can see that the some of the major threats that could cripple the world’s economy and its financial integrity, threats for example the Euro zone breakup, the US recession and the near collapse of the Chinese economy, gradually diminishing, investor confidence and vigor has recently been high. This confidence has allowed for a currency breakdown and now Forex currency trade follow their own beat in the market. All in all, with the advent of a basic risk-on, trading in the Forex market has picked up, considerably adding more action to the overall currency trade, which is a good thing. Moreover, the outcome however reflects the fact that the correspondence between different currencies in the market has experienced a sharp drop, hitting the lowest point in over 10 years. This has allowed for the currencies to react positively to country specific factors. The first proof of this currency drop came in the form of the Japanese Yen, which experienced a sudden drop in value due to a massive influx of the currency in the economy in an attempt to combat and eliminate severe inflation in the country. 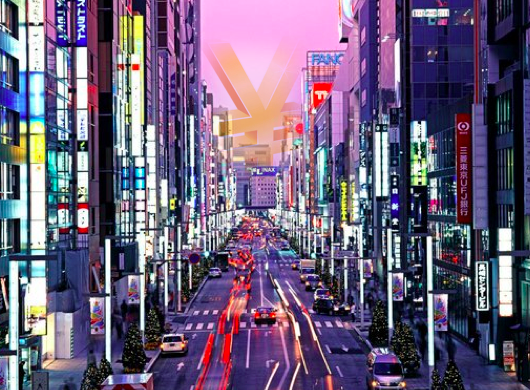 And according to Maurice Pomery, the Chief Executive of a Forex research firm named Strategic Alpha, this massive increase in the volatility of the Japanese Yen is the main reason behind the fall in value of the Yen in Forex markets. That is primarily because that option traders who has become used to the trends of trading with the Yen in nominally tight ranges, were completely surprised by the drastic increase in Yen volatility. This would naturally force the investors to sell the Yen so maintain their position and this is exactly what happened. The problem starts when there is a constant shift in the volatility of a currency and if you’re not careful you might just end up being thrown off your position. So, many investors who were the bullish traders of the dollar/yen ended up being thrown off position. It is the same with every other currency. If you look at things from an investor’s perspective, you will say that the increase in the volatility of any currency can make it complicated for investors to place medium-term currency positions due to the increase in the option prices. And that will always lead to a buildup of volatility in the cash market. However, while it is true that tight ranges and low volatility factors are diminishing in the Forex trade market, it is also a fact that many investors are gaining the confidence to invest, which is mainly due to the fact that they are trying to adapt to these changes. So, you have to keep pace with the currency changes in the Forex market to manage the volatility.